Treg Setty left it all on the court. Before the clock expired in Ohio’s 77-72 season-ending loss to Morehead State in the College Basketball Invitational semifinal, he panned the stands, soaking it all in. The chants of “SET-TY, SET-TY, SET-TY,” reigned down from the O Zone. Ohio lost the game and ended its season, but the ora in The Convo was one of appreciation, not disappointment. Setty finished with 20 points and five rebounds, but his former AAU teammate may have had a better game. Lyonell Gaines, a teammate of Setty’s on AAU and Kentucky All-Star teams, recorded a double-double of 14 points and 13 rebounds. Gaines snagged five of his rebounds on the offensive end. The Eagles pulled down 11 offensive boards and those extra chances, coupled with 18 Ohio turnovers, allowed them to shoot the ball 18 more times than the Bobcats. Corban Collins came through when Morehead State (22-12) needed it most. Collins hit two clutch 3-pointers, including the go-ahead basket with 1:54 remaining, to lead the Eagles to a CBI finals berth. He finished with 14 points and made four of his six 3-pointers. Jaaron Simmons led all scorers with 21 points, seven assists and six rebounds, but was stifled by the pressure of Morehead State’s defense and turned the ball over seven times. Ohio forward Kenny Kaminski totaled 15 points on five 3-pointers. Tony Campbell added eight points and 12 boards, but battled foul trouble throughout the defeat. 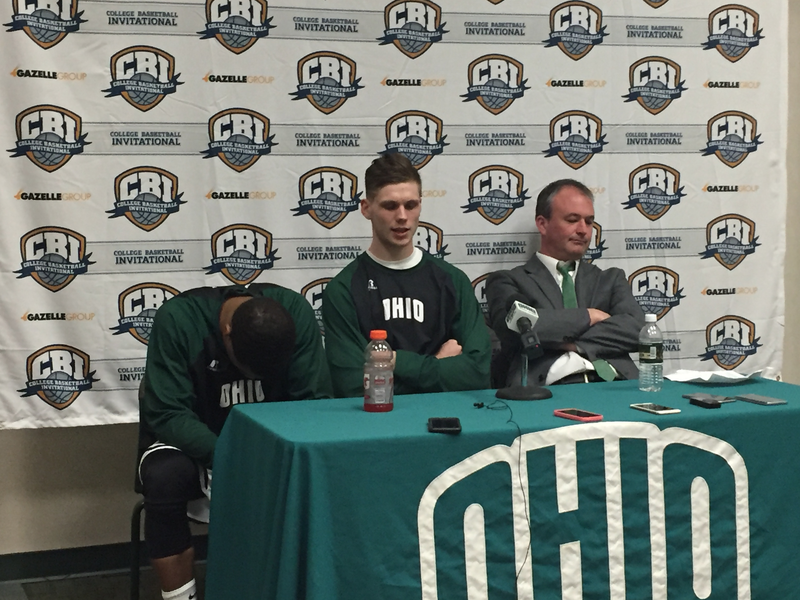 The loss concludes a wild CBI for Ohio (23-12). The Bobcats topped Albany in overtime the first round, then came from 15 down to beat UNC-Greensboro before Wednesday night’s loss. Ohio only loses Setty, but will hope to replace his energy and leadership. Expectations should be high for the Bobcats entering the 2016-2017 season. Reblogged this on Corbin Bagford.